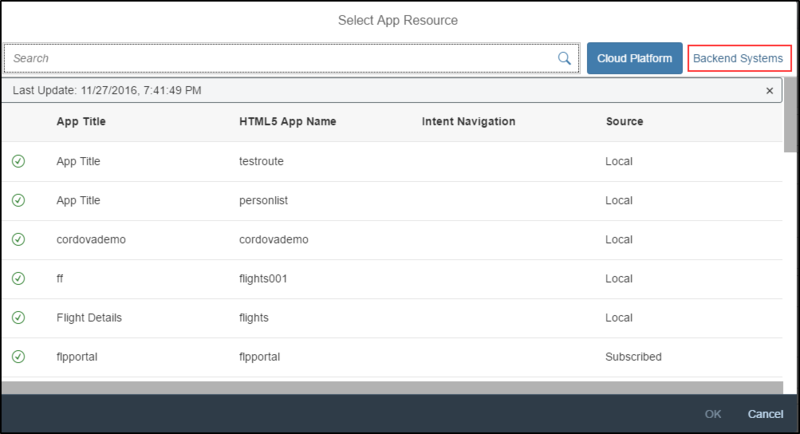 Until few weeks back, we could only use the Fiori Launchpad on SAP Cloud Platform to launch Fiori apps deployed within the platform and also other contents via URLs and Mobile document. Fiori Launchpad is the entry point to access all SAP applications and we see many customers using the Fiori Launchpad on SAP Cloud Platform to launch standard and custom Fiori Apps. However, there are still lot of customers who have a requirement to also expose SAP GUI transactions and WebDynpro ABAP applications along with these HTML5 based Fiori Apps. They were looking for ways to provide one single access point to their end users in order to access all types of applications (on-premise/cloud apps). It is now possible to launch even Classical UIs like SAP GUI (HTML) and WebDynpro ABAP applications which are available in the backend SAP system. If you are on release of ABAP Add-on SAP_UI 751, you have an option to create Technical catalogs in backend system and make them available to the Cloud Portal. In this blog, I am going to show the steps required to do this. Login to your backend system and ensure that the SICF service is enabled. Also, ensure that you have the required SAP_UI2_ADMIN* roles in the backend system. 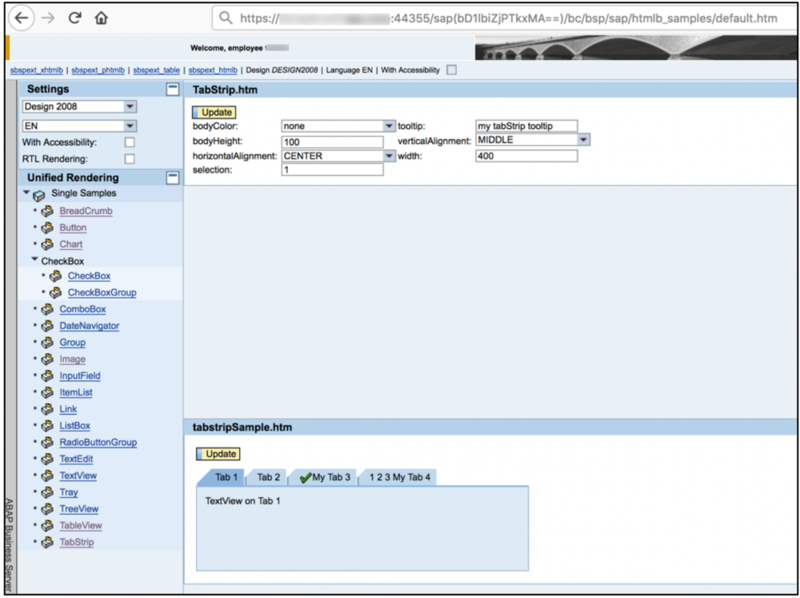 SAP GUI (HTML based) and WebDynpro ABAP applications require an application descriptor if they are to be called from the SAP Fiori launchpad. We need to use the Mass Maintenance Tool (MMT) to create all the necessary application descriptors efficiently and in one place. 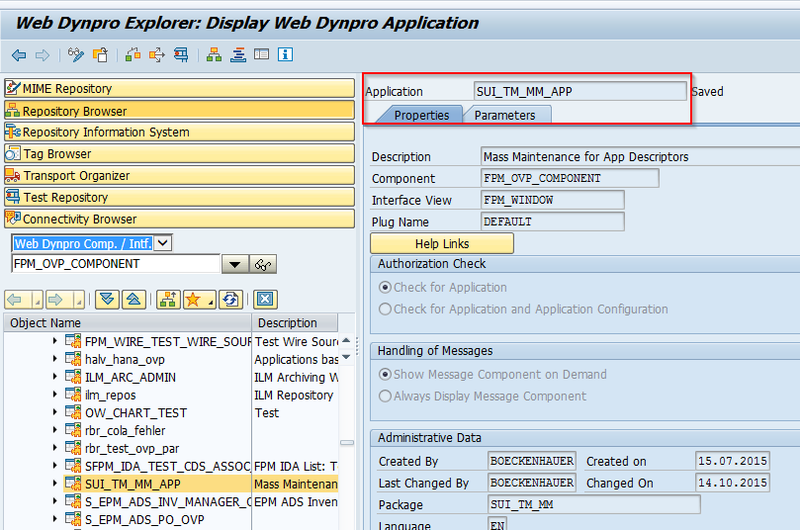 I can launch the Mass Maintenance Tool by executing the WebDynpro application SUI_TM_MM_APP as shown below. In this step I am going to create a technical catalog which will represent a collection of SAPGUI & WebDynpro Apps. I can provide any name for my catalog and select from any of the available Semantic objects. In this example, I am going to use the demo EPM Module to display a Products Application which is delivered as SAPGUI Transaction (SEPM_PD) and also as a WebDynpro ABAP application(S_EPM_FPM_PD). Click on Continue. Click on the “Insert” button and add the entries as shown below. One for a SAPGUI transaction and the other for a WebDynpro ABAP applicaiton. Click on Save. With this our catalog is ready. The below configurations would need to be made in the SAP Cloud Connector (SCC). Its important to understand the role of SCC in this scenario. There are two personas when it comes to using this scenario. The first one is an Administrator who would create a portal site and create applications referring to these classical UIs. When the administrator tries to request for apps metadata, all the requests to the backend system will be routed via the SCC. When the Portal site is built and is accessed in an end-user persona, the requests will be again routed through the same Cloud Connector and the connection is kept secure. Notice that I have provided the virtual host name same as the internal host name. I have also exposed the services under /sap/bc/ to the SAP Cloud Platform trial account. Below is how the destination needs to be configured. Notice that the URL is the actual host name and port number of the ABAP system. The proxy type is set as OnPremise as it would be needed for all the communication requests triggered by the Administrator when they create Apps in the Portal site. Such calls will go via SCC. Also notice that the usage property is Backend. Select “Backend Systems”. This will look for destinations with the usage property = Backend. Select the backend system which has been configured. Search for the Catalog which was created earlier and select it. Notice that the both the Apps under the catalog would be listed. I have selected the SAP GUI transaction. I have just assigned this app to sample catalog and group in the Fiori Launchpad. Similarly, I am repeating the same steps to add the WebDynpro ABAP application too. 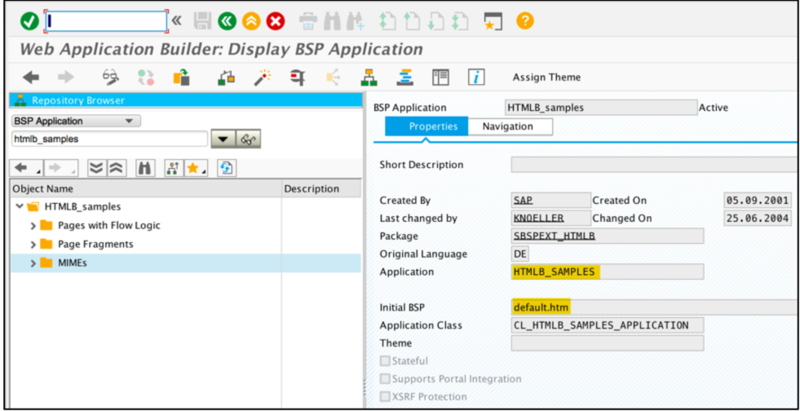 The SAP GUI version of Display Products renders as below in my Fiori Launchpad. This would open as a new tab. 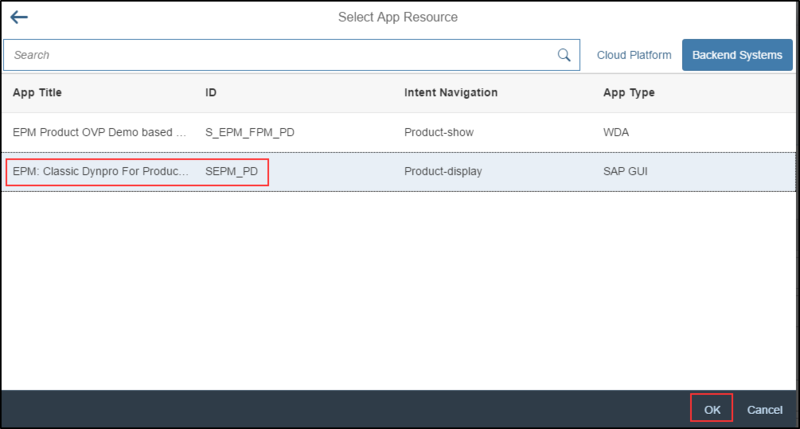 Similarly, I can also launch the WebDynpro version of Display Products too from the Fiori launchpad. Its also important to note that there are two ways of creating the Portal apps based on Classic UIs. The one described above assumes that you have a backend ABAP system with SAP_UI 7.51 version or above that enables you to create Technical catalogs. 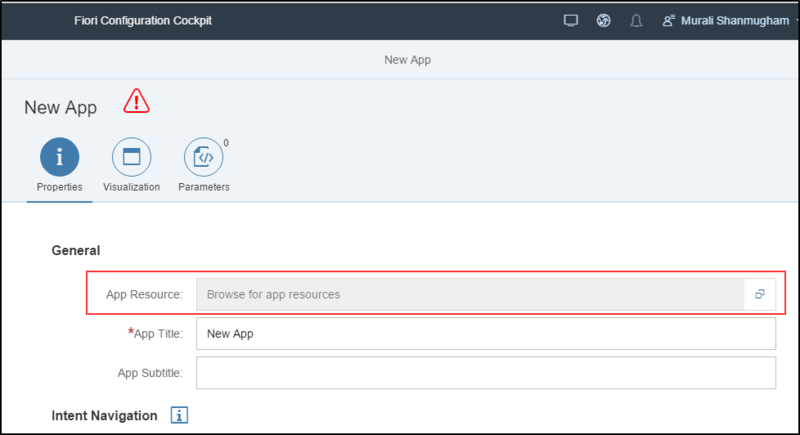 If you do not have a backend system with this version of SAP_UI, you could directly create a SAP GUI App/WebDynpro App on the Cloud Portal and provide the configuration details manually. For example, if you are configuring an App for WebDynpro, you would need to manually provide the application ID, Configuration ID etc. 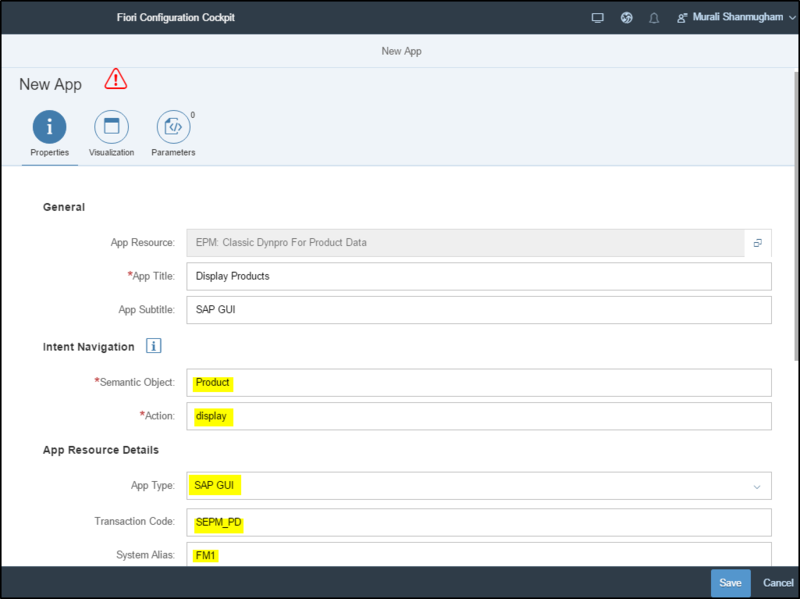 A new app type has been introduced within the Fiori Configuration cockpit to launch BSP applications which are available in a SAP ECC system. 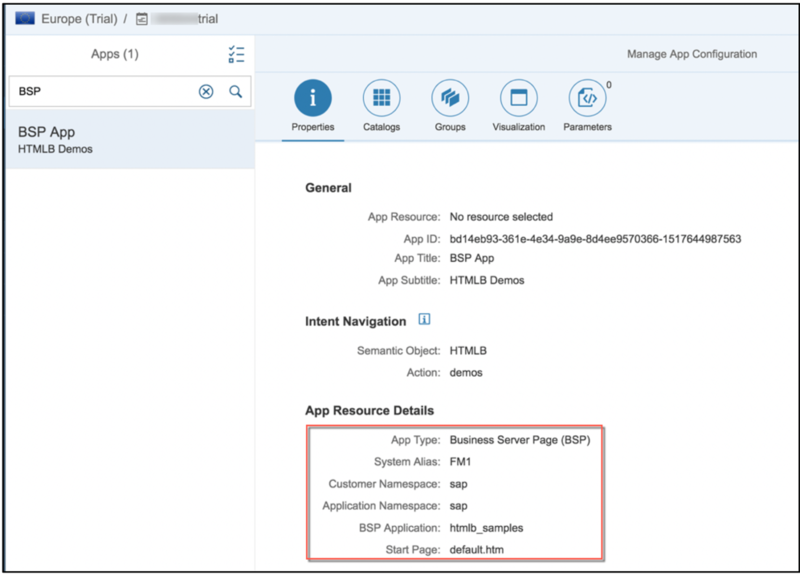 Within the Fiori Configuration Cockpit, I am using the app type “Business Server Pages” and providing application specific details like System alias, namespace, application name and the start page. After publishing the site, I get to see the additional tile to launch the HTMLB_SAMPLES BSP application. Clicking on the tile would open the BSP application in a separate tab as shown below. Hi Murali, thanks for the great blog. Question: Is there a simple way to render standard Fiori apps from the ABAP backend system with in HANA Cloud Portal, ideally even a mass import / rendering option that let’s me bring a set of standard Fiori apps from the ABAP backend system into the HANA Cloud Portal? Or is the only way to accomplish this through import from the SAPUI5 ABAP repository via Web IDE, basically app by app? Hi Murali, For me the catalog is not getting loaded . I have created the connection to S4Hana using HCC. the virtual and the actual hostname are same and the connections are all working. I have also assigned the user which I am using for connection to s4hana the role which is required. Please check you have exposed the services in the Cloud Connector and that you have used the usage property in the Destination. Please raise a question in the discussion forum if you need more support. Same problem for me; backend systems are listed but catalog is not getting loaded. Any idea? I checked connections, roles ecc. and everything seems to be ok. Thanks for this Great Blog. I have one doubt that if we configure others SAP GUI Transactions like MIGO , VA01 , VL 10 N etc. in the same way you did , Would these be rendered with responsiveness and compatible with Mobile Devices ? 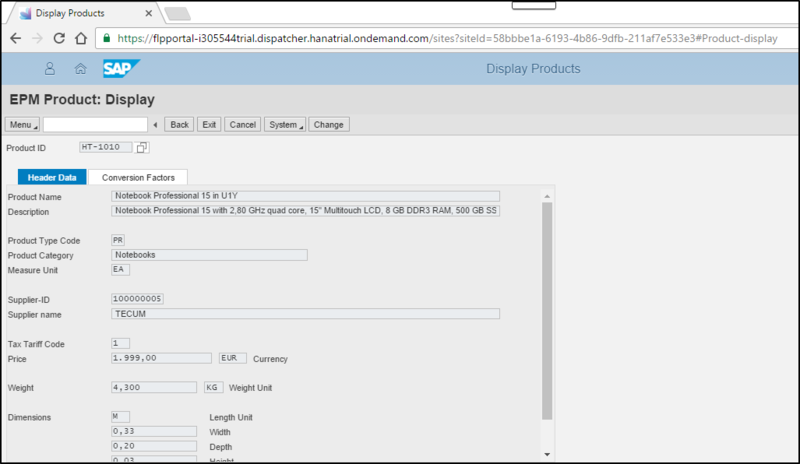 SAP transactions would be rendered as GUI for HTML. They wont be responsive. You can view GUI for HTML screens in mobile devices, but there are limitations. Whe creating the new app, i can select backend systems and I see my backend, but the catalog is not found. In the destination i have set property usage to Backend, what exactly needs to be enterd in property WebIDEUSAGE ? ist it required ? Also on our cloud connector, all lights are green. I am able to integrate a Web Dynpro in cloud portal using Basic authentication but it fails when I use Principal Propagation. Somehow the web Dynpro applications read the cloud cockpit destination URL as the main hostname rather than proxy URL and therefore I don’t see the call going to cloud connector. The Supplier Portal will expose Web Dynpro applications from QIM and PPM.Is there any option to establish SSO with backend SAP server from cloud portal to expose the web dynpro’s .The users will login with email id. Can we launch classic UI from freestyle site as well? If yes can I have some reference link. Thanks for the updates. Can you confirm that the Cloud Connector is only used at design time. At runtime you either need to be on the corporate network or you need to expose the backend to the internet. right? With the latest update, it is possible to use the Cloud Connector both at desgin time and runtime. This means a user can be out of corporate network and access all the classic UIs from the Cloud Portal. Thanks for the blog, it’s well written. Regarding the Technical Catalog availability of WDA/Transaction services you suggested SAP_UI 751 is needed but it’s optional. Thus you suggest we can create WDA apps without them available in the Tech Catalog? Thus by specifying the App Resource Details manually we can access WDA apps from the backend? If so, other than this config. does it require any specific service in the backend to be enabled. Appreciate the response. Hi Sridhar, Correct. SAP_UI 751 is optional. If you dont have it in place, you can manually key in the values while creating an WDA app in the Cloud Portal. I was able to use the publicly available ES4 system and expose the WDA apps on Cloud Portal. Recently, there was a new feature which allows to open WDA apps in-palce within the Fiori Launchpad shell. This would require additional configuration steps in the backend system. Nice Blog, very helpful.. thanks!